The SaberCats were looking to get back on track after two losses in a row. 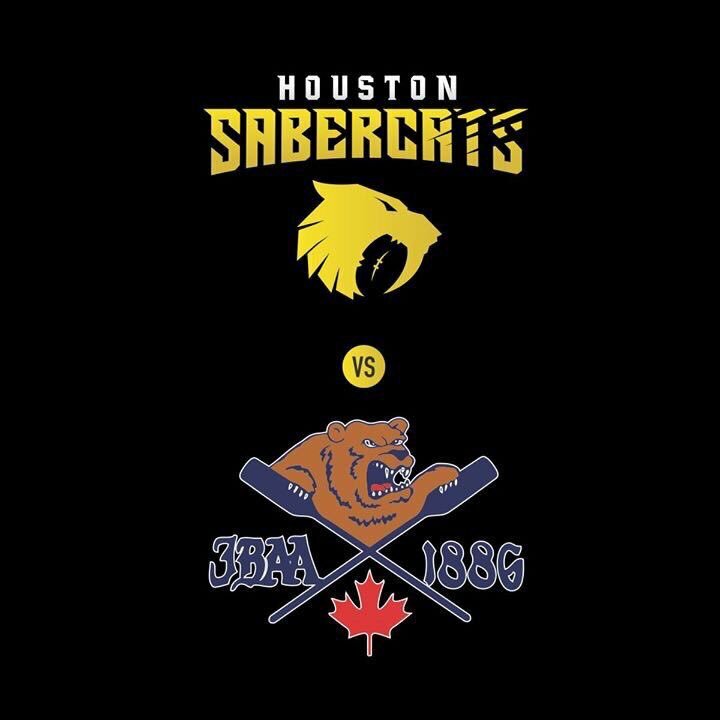 The SaberCats had an encouraging performance against Uruguay last week, and continued their momentum from that game into this week against James Bay. The SaberCats were first on the board with a cheeky quick tap try from Connor Murphy. Zach Pangelinan got on the board three minutes later with a try off a set piece. Sam Windsor extended the SaberCats lead to 13-0 with a drop goal from 40 meters. Mitch Richardson got James Bay on the board with a try. Blake Mahovic put down another try for James Bay bringing them within 3, 13-10. Josua Vici got down under the posts just before halftime. And Zach Pengelinan converted the try to extend the SaberCats lead 20-10. Aaron Evison got the scoring started in the second half. His penalty kick for James Bay made the score 20-13. Pangelinan answered right back for the SaberCats with a penalty kick of his own. Josua Vici added his second try of the match from some Fijian magic. Osea Kolinisau spotted some open field and put a perfect cross kick into Vici's hands for the try. Pangelinan's conversion brought the score to 30-13. Petey Hepburn was next on the board for the SaberCats. He was able to dot down after a driving maul. With the conversion, the Cats were up 37-13. 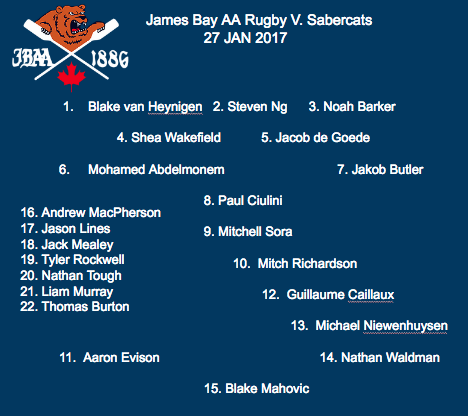 Kyle Sumsion had the last try for the SaberCats. He had a nice chip and chase and dotted down right before the final whistle. With the final score 42-13, the SaberCats are feeling good. They got back into the win column and showing the other Major League Rugby teams that they aren't to be messed with. 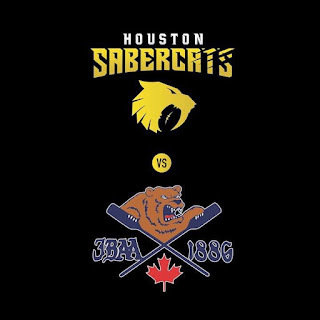 The SaberCats are back on February 3rd against the Capital Selects.